The Select Racing Club received widespread acclaim in both the regional and national press when launching a decade ago, with The Sun‘s racing columnist Claude Duval praising the Club and The Argus describing us as “a world’s first”. The Club has since been the feature of numerous articles in the Racing Post and several regional newspapers. Over the past 10 years, we have firmly established ourselves as one of the leading racing clubs in the UK, with winners at racecourses throughout the country, recent successes including Master Dancer at Cheltenham and Prime Suspect at Saint-Cloud in Paris! We have shares available for lots of different budgets, so just pick the horse(s) that you would like to have a share in! 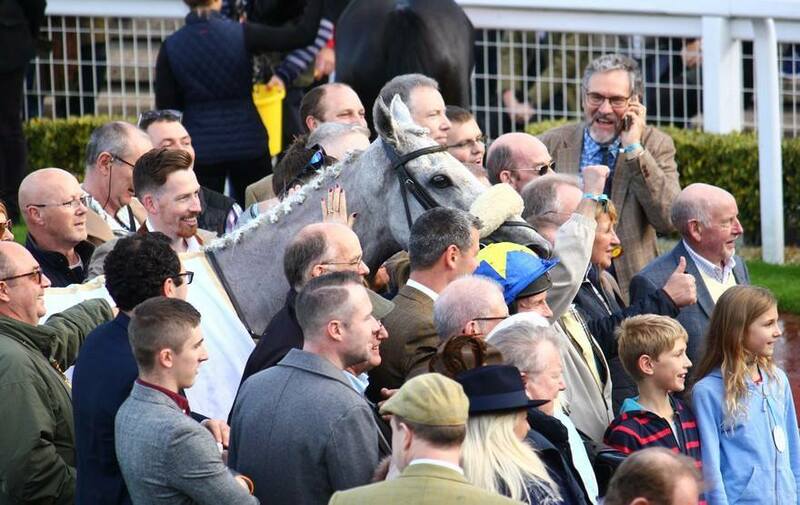 Our National Hunt horses for 2019 are Glance Back (Cheltenham), Kenmare River, Master Dancer and Prince Charmin’ (South Wales), whilst we have some exciting, unexposed prospects for the flat; Sir Canford (Lambourn), Sepahi and Teodula (both Newmarket). Every member is treated as an individual owner with Select. That has been our philosophy since we launched and is a big part of why we remain a leading racing club in the UK ten years on! Great as a gift for someone special! Nathaniel Barnett has been the Select Racing Club Manager since its launch. Nathaniel has a wealth of experience in the industry, having worked as a form advisor for a leading flat trainer and as researcher for racing presenter Clare Balding. Nathaniel then went on to spend two and a half years working as Assistant Trainer to the leading Welsh handler Tim Vaughan before leaving to set up Select Racing Bloodstock, since when he has purchased numerous high-class horses in the UK, Ireland and France, including the Grade 1-placed hurdler Debece and Cheltenham winner Master Dancer. Nathaniel’s experience both in managing a Racing Club and in the racing industry as a whole is a great asset to Select Racing, and he is always just a phone call away for all our members. With over 100 winners to date, he has also been a Group 1-winning syndicate manager on the flat. You can become a member of the Select Racing Club today – have a look through the horses and pick your favourite(s). A welcome pack, including colour photos of your horse, will be sent out by first-class post – completely free! Select Racing Club is the perfect, unique gift for horse racing enthusiasts – you can even let the recipient of the gift choose which horse they would like! For further information on the Club, if you would like to purchase membership or just if you have any questions about getting involved in racehorse ownership for the first time, please call Nathaniel on 07890 672435, or email us at info@select-racing-club.co.uk.